1. Opposition Mounts to Partisan Attack on Non-Partisan G.A.B. 1. Shortly after last November's elections, Wisconsin Republican Assembly Speaker Robin Vos (R-Rochester) and State Senate Majority Leader Scott Fitzgerald (R-Juneau), announced they planned to eviscerate the independent Wisconsin Government Accountability Board, which oversees the state's election, campaign finance, ethics and lobbying law, ostensibly because they don't like the G.A.B. not doing what they want it to do and because they want to control it. They are particularly outraged because the six judges on the G.A.B. Board voted unanimously in 2012 to authorize an investigation into possible illegal coordination between Governor Scott Walker's 2012 recall campaign and outside special interest groups Wisconsin Club for Growth and Wisconsin Manufacturers & Commerce. CC/WI and others have denounced this transparently obvious partisan attack and the rationale for trying to destroy an entity that was established in 2008 and passed with almost unanimous bi-partisan support in January, 2007 (with support of Vos and Fitzgerald) and was purposely created to be non-partisan and independent. It is shocking that Vos, Fitzgerald and other Republican legislators would try to make the G.A.B. more partisan and less independent, given the rationale for creating it. And two retired judges currently serving on the G.A.B. and one who served on the G.A.B. for six years, but is now no longer doing so, have all made powerful arguments for leaving the G.A.B as is. These powerful statements from current G.A.B. chair Gerald Nichol, Thomas Barland and Michael Brennan ought to carry enormous weight in this battle with Vos and Fitzgerald. Please read them! The Wisconsin State Journal, Milwaukee Journal Sentinel and other Wisconsin newspaper editorials have denounced the partisan attacks on the G.A.B. – as have other good government organizations such as the League of Women Voters of Wisconsin, Wisconsin Voices and others who have joined CC/WI in calling for protecting the integrity of the G.A.B. You can and should add your own voice by contacting both your State Senator and your State Representative and telling them that you support the G.A.B. as it is – non-partisan and independent! 2. Along partisan political party lines, the Wisconsin State Senate and Assembly both passed identical measures that would strip the title and power of Chief Justice Shirley Abrahamson, who has served in that capacity since 1996 because of her status as the longest serving member on that court. The measure, which goes to the voters for approval (or rejection) in the form of a constitutional amendment, would allow the seven justices to decide who the Chief Justice ought to be – and the outcome of such a vote is obvious with four conservatives and three moderates (including Abrahamson) currently comprising the makeup of the Court. CC/WI opposed this measure and testified against it at a public hearing in the Capitol. If you would like to watch/listen to the entire public hearing, go here (CC/WI's testimony is in Part 1 at 1:59:20). This measure will be on the April ballot statewide – which also features the State Supreme Court election between incumbent Justice Ann Walsh Bradley and challenger, Judge James Daley of Rock County. CC/WI urges a vote against the question. We do not endorse candidates for public office and so have no position in the Bradley-Daley contest. 3. CC/WI is part of a broad coalition of organizations that are committed to strengthening democracy in Wisconsin and opposing efforts to concentrate political power and influence in the hands of the few and powerful. On Wednesday, this coalition will launch its "Our Democracy 2020" Initiative in a press conference in the State Capitol at 10:00 AM in the Assembly Parlor. CC/WI Director Jay Heck will speak about why Wisconsin needs to end partisan gerrymandering and enact non-partisan redistricting reform legislation before the next redistricting process occurs in 2021. 4. 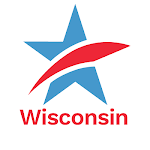 For many years, CC/WI has worked with the Wisconsin Alliance for Retired Americans in promoting political reform, particularly in helping to boost attendance at the many "reform forums" CC/WI sponsored and organized all over the state. WIARA wants to keep political reform a vital part of its agenda and is seeking a current Common Cause in Wisconsin member to serve on its board of directors. This is a wonderful opportunity for a motivated senior to combine their interest and concern for democracy issues with important issues of concern to the senior community throughout Wisconsin. If you are interested or want more information, please contact WIARA executive director Billy Feitlinger by email or by phone at 414-771-9511. I am Jay Heck, the director of Common Cause in Wisconsin, one of the state’s largest non-partisan, non-profit political reform advocacy organizations with approximately 2,300 members. We oppose Senate Joint Resolution 2 because it is so transparently ideologically partisan and is obviously designed to remove from the position of Chief Justice of the Wisconsin Supreme Court one specific individual: the current Chief Justice, Shirley Abrahamson. Common Cause in Wisconsin strongly believes that there are already far too many partisan political considerations surrounding and infusing the current deliberations and elections of our state’s highest court and that this measure will only exacerbate, rather than decrease and diffuse ideological differences. We are concerned that citizen confidence in the integrity and impartiality of the Wisconsin Supreme Court, which has already fallen considerably in recent years according to public opinion polls, will plummet still further if this proposal is passed in the Wisconsin Legislature and then sent to statewide referendum in what will almost certainly be a very politically ideological and divisive statewide campaign, as early as this April. All of us can readily predict the outside special interest groups that will spend hundreds of thousands, and likely millions of dollars primarily in the form of nasty, negative attack communications on the airwaves and in the mail on top of the millions likely to be spent on the upcoming Wisconsin Supreme Court election this Spring. It is also a certainty that this proposal, which passed in the 2013-2014 legislative session, and which is again before you today, would never have been devised or proposed if the current Chief Justice was named David Prosser, or Patience Roggensack, or Annette Ziegler, or Michael Gableman. But because the Chief Justice is named Shirley Abrahamson, and many members of the State Legislature simply cannot abide her views or philosophy, she has become the specific target of this ill-advised and ill-timed measure. If that were not the case and if the proposal was being made for non-ideological or non-personal reasons, it would contain a provision that would make this measure effective after the next election of Justice Abrahamson in 2019. But this proposal contains no such provision. It is targeted specifically at the current Chief Justice. This measure also constitutes an obnoxious and intrusive assault by the Legislature on the separation of powers of the three branches of state government in Wisconsin. Dictating how the Wisconsin Supreme Court ought to select its Chief Justice is not something the Legislature ought to be deciding any more than the Wisconsin Supreme Court ought to be determining how the legislative leadership is selected. This joint resolution, if it passes and if it is sent to referendum, ought to be seen by the citizens of Wisconsin as a partisan, petty measure that will further politicize an already far-too politicized State Supreme Court. It is not worthy of their consideration, much less their support. Senate Joint Resolution 2 ought not be advanced by this committee or by the Wisconsin Legislature, either. Money Trail Revealed: Did Eric O'Keefe Pay James O'Keefe for Hatchet Job on Wisconsin GOP Senate President?